In the 1989 Disney film "Honey I Shrunk the Kids," actor Rick Moranis portrays Wayne Szalinski, an eccentric scientist whose efforts to create an electromagnetic shrinking machine are close to paying off, except for one major problem: the apples he tests his invention on keep blowing up. While Szalinski is out speaking at a conference, the machine is suddenly jolted into working order when the boys next door accidentally hit a baseball through the window of his lab. Following a series of events, Szalinski's machine winds up shrinking both the neighbor boys and his own children--a fact he does not discover until long after he returns home, cleans up his lab and unknowingly puts all the children out with the trash. While the banking industry doesn't have anything as cool as an electromagnetic shrinking machine, we couldn't help but think about the shrinking usage of cash when making payments and the changes that is driving within the industry. As smartphones have become commonplace and online purchases have become the preferred method of shopping for many people, there has been growing demand for real-time payments. This is true for all types of billing--from individuals and the merchants they shop at, to peer-to-peer payments. For younger individuals who don't balance checking accounts the way earlier generations once did, relying instead on the online end-of-day balances listed for their accounts, real-time payments are attractive because they allow for more accurate account balance information. Meanwhile, for businesses and corporations, real-time payments allow for improved cash flow management and a possible reduction of fraudulent activity. In fact, by the end of 2019, annual peer-to-peer payments alone are expected to reach $17B, up from just $5B in 2014, according to Forrester Research. Given this increased demand, organizations such as the Fed and the National Automated Clearing House Association (NACHA) have been pushing central banks to adapt their systems and processes to enable real-time payments around the world. However, because of the high cost of creating the infrastructure needed for the ACH to be able to handle and clear real-time payments, and the fact that most banks' own systems were not designed for real-time clearing, the US has been lagging in this area so far. That is quickly changing though, as a push for global banking standards is now underway. Fueled by the imbalance of demand for real-time payments in the US and the number of payment providers that can handle such payments, the Fed established a task force focused on real-time payments. The group has been charged with determining approaches for implementing faster payments by 2016. Progress has already been made by NACHA, which is about to provide same day ACH clearing and settlements, following a vote by the organization's membership to do so for all ACH payments (except for international transactions for more than $25,000). Though it is still unclear what changes will be necessary before real-time payments can become a reality on a widespread scale, community banks should start looking at the issue now and begin assessing how their current product offerings can help address demand for different types of clients. Since it is quite likely different solutions will be needed for peer-to-peer payments than for individuals, banks should start determining their needs in all areas to see if a joint approach can be taken. 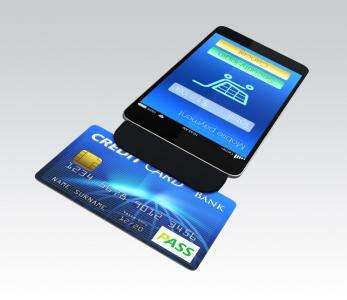 For some lines of business, achieving real-time payments may only require slight modifications. But, regardless of the business line, banks should be careful to keep customers' needs in mind before deciding on any one approach. Banks that approach the issue thoughtfully by shrinking it down to something manageable could benefit from some of the new consumer behaviors real-time payments will ultimately create. Treasury yields declined slightly, falling 2bps, as liquidity thinned ahead of the holiday weekend. President Obama has signed legislation that that restored the 50 employee threshold for small group health insurance, removing the requirement for small businesses with 51-100 employees to move into the small group health insurance market in 2016. 1) TowneBank ($6.1B, VA) will acquire three insurance agencies (Invincia Insurance Solutions, Total Insurance Planning and B.H. Baird Insurance) for an undisclosed sum. 2) Citizens National Bank of Paintsville ($567mm, KY) will acquire Alliance Bank ($56mm, KY) for an undisclosed sum. 3) Republic Bank & Trust Co ($4.1B, KY) will acquire Cornerstone Community Bank ($243mm, FL) for about $32.3mm in cash. The CFPB is reportedly moving forward with new rules that would ban certain arbitration clauses in consumer contracts. The move could lead to lawsuits of banks for such things as credit cards, deposit accounts, prepaid cards, money transfer services, auto loans, payday loans and private student loans. The rule change proposal will be published shortly and be followed by a comment period. Bankers should consider eliminating arbitration completely perhaps, as it appears legal, lending and other costs could soon be rising. You may also want to project the impact of this regulatory risk item into your strategic planning session this year. Accenture research finds the number of branch visits declined 6% in 2014. In addition, of the 17 interactions customers have on average with their banks each month, about 65% (11) now take place through online or other digital channels. Bank of America reports year over year mobile banking growth rates have consistently been about 10% to 15%.